210 pounds set of bright and shiny candy color weights helps to motivate one to exercise. Sets include 2 each 25#, 35# and 45#. Body-Solid Rubberized Grips Olympic Plate's unique four quad-grip design guarantees safer and easier performance than any other plate on the market. Encased in durable, heavy-duty urethane rubber to prevent scuffing or damage to equipment, walls or floors. Will not feel cold or hot to the touch as it does not conduct the heat out of your hands. Impact-resistant, these Olympic Plates will not split, crack or peel. They are also impervious to rusting, chipping, flaking or losing their vibrant color. 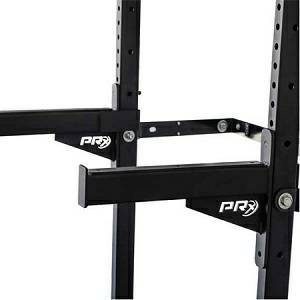 The integrated metal insert sleeve provides a smooth, secure fit onto any Olympic bar. 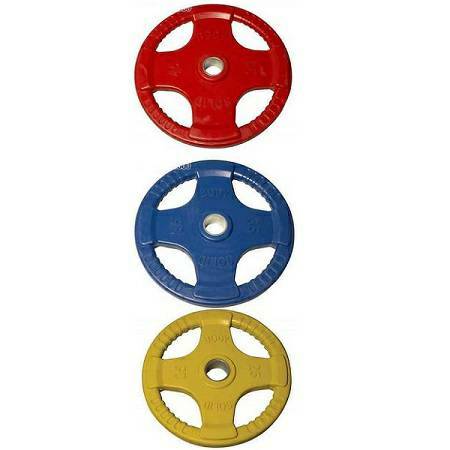 Designed using state-of-the art technology, Body-Solid Rubber Grip Olympic Plates surpass all others in quality, accuracy, reliability and price.